Guest Blog – Miss Cream Tease! 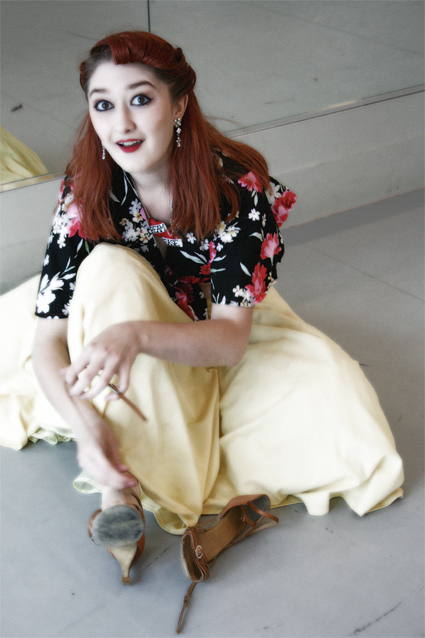 We always love it when we find creative people who are bringing their vintage passions to life – so it was great when we heard about Bournemouth based Ruby whose stage performances and teaching are a real blast from the past!! We especially loved the idea of hen party vintage dance classes – from the charlston and flapper dresses to burlesque – what a perfect girly afternoon with a vintage tea? Welcome to Miss Cream Tease’s guest blog…. 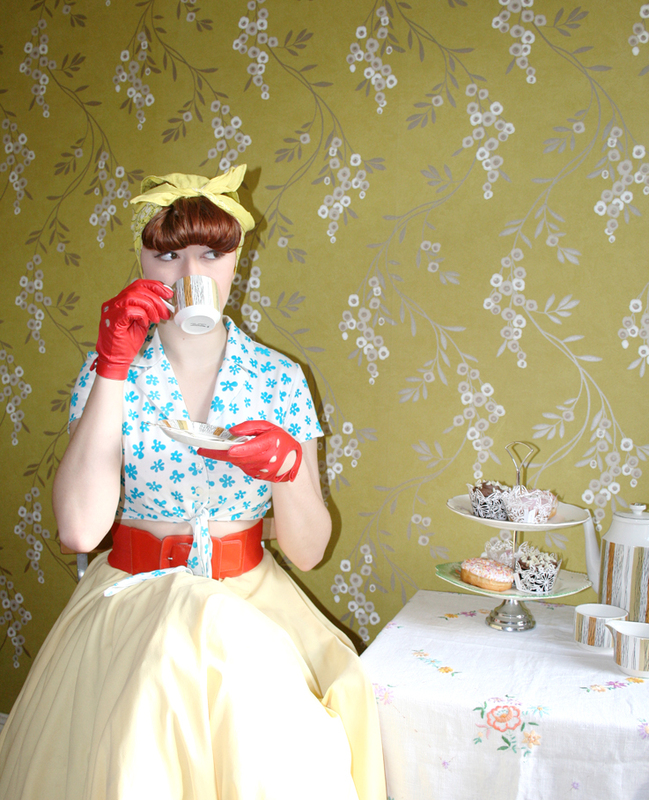 My name is Miss Cream Tease and I am a cabaret and burlesque performer who lives in a world where manners still matter, classic cars are compulsory, knitting rocks and afternoon tea is never missed! I’m passionate about performing but I also love teaching dance and regularly put my first hand experience of stage-craft and to good use in my very own dance classes , including 1940’s Social Dance, Burlesque, Latin Funk & Showgirl classes. Learning to dance can be great fun and, happily, my classes are fast becoming full of retro-tastic peeps who love to boogie. I offer a selection of unique packages for dance workshops, for Work Parties, Bespoke Events, Hen Nights and Birthday Celebrations, where you can enjoy a 2 hour dance session with your friends. Dressing up, although not essential, is highly encouraged! In my 1940’s social dance workshops you can learn the dance sensations that took the era by storm, such as ‘The New York Stroll’ or ‘The Charleston Stroll’. 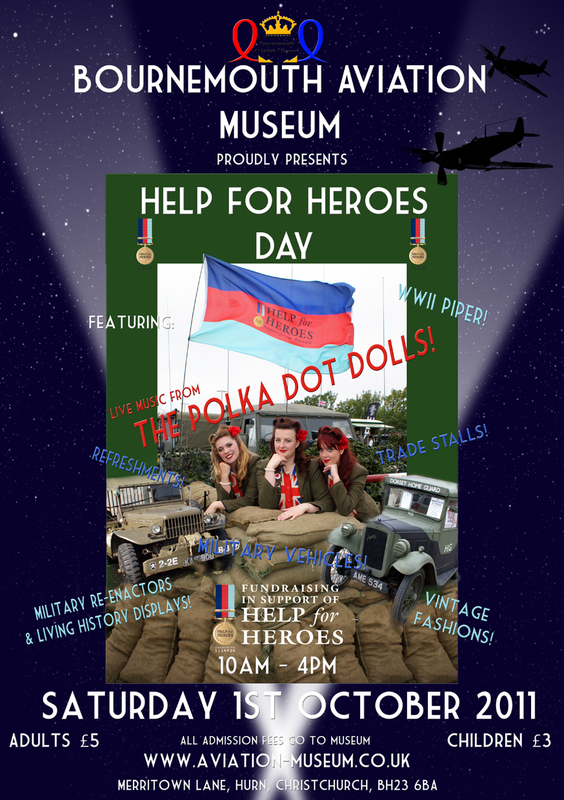 So transport yourself back to the swinging world of the 1940’s and book a workshop now. 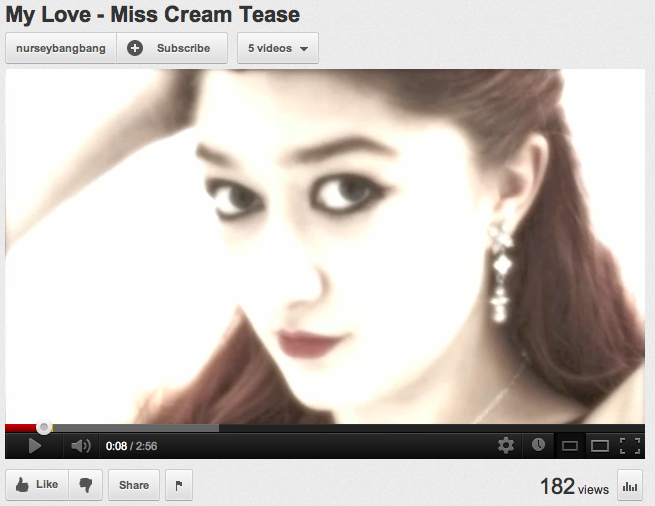 And here are some wonderful Youtube clips of the gorgeous Miss Cream Tease…. Published by vdorset, on 15th May 2012 at 7:22 am. Filled under: Vintage Activities,Vintage Arts,Vintage Events,Vintage Fashion Tags: Bournemouth, burlesque, dance, dancing, vintage • Comments Off on Guest Blog – Miss Cream Tease!